17.08.2018 Crafnant Pony Show, 8. - 20p. 17.08.2018 Crafnant Bundle Show, 9. - 20p. 18.08.2018 Crafnant Bundle Show, 10. - 20p. 19.08.2018 Crafnant Bundle Show, 11. - 10p. 20.08.2018 Crafnant Bundle Show, 18. - 10p. 21.08.2018 Crafnant Bundle Show, 11. - 10p. 19.08.2018 Pencalow M&M Show, 6. - 20p. 19.08.2018 Crafnant Driving Show, 9. - 20p. 19.08.2018 Crafnant M&M Show, 18. - 10p. 19.08.2018 Wyat Sunday Show, Class Reserve Champion. - 40p. 21.08.2018 Wyat M&M Show, 9. - 20p. 21.08.2018 Wyat Driving Show, 18. - 10p. 24.08.2018 Wyat Bundle Show II, 15. - 10p. 23.08.2018 Wyat Let's Go Crazy , Class Champion. - 50p. 23.08.2018 Wyat Let's Go Crazy , 7. - 20p. 23.08.2018 Wyat M&M Show, 5. - 20p. 23.08.2018 Crafnant Bundle Show, 15. - 10p. 23.08.2018 Mooncloud M&M Show, 10. - 20p. 23.08.2018 Mooncloud Pony Show, 18. - 10p. 23.08.2018 Crafnant M&M Show, 11. - 10p. 23.08.2018 Crafnant Pony Show, 15. - 10p. 23.08.2018 Crafnant Pony Show, 3. - 30p. 23.08.2018 Crafnant Mare Show, 14. - 10p. 24.08.2018 Crafnant Bundle Show, 17. - 10p. 25.08.2018 Crafnant Bundle Show, 11. - 10p. 24.08.2018 Wyat Mini Mare Show, 8. - 20p. 24.08.2018 Crafnant Bundle Show, 11. - 10p. 26.08.2018 Crafnant Bundle Show, 13. - 10p. 24.08.2018 Crafnant Pony Show, 16. - 10p. 24.08.2018 Crafnant Mare Show, 12. - 10p. 24.08.2018 Mooncloud Driving Show, 13. - 10p. 24.08.2018 Ionic Drive Me Crazy, 6. - 20p. 25.08.2018 Wyat Pony Bundle I, 3. - 30p. 26.08.2018 Wyat Pony Bundle II, 5. - 20p. 27.08.2018 Wyat Pony Bundle III, 12. - 10p. 27.08.2018 Dawnvale Pony Show, Class Reserve Champion. - 40p. 28.08.2018 Dawnvale Pony Show, Class Reserve Champion. - 40p. 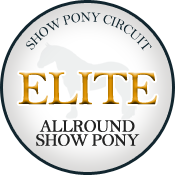 29.08.2018 Dawnvale Pony Show, 15. - 10p. 27.08.2018 Ionic Step By Step, 14. - 10p. 29.08.2018 Falkenhof Pony Show, 7. - 20p. 29.08.2018 Wyat Show Bundle II, 10. - 20p. 28.08.2018 Wyat M&M Show , Class Champion. - 50p. 28.08.2018 Wyat M&M Show , 6. - 20p. 28.08.2018 Wyat Grand Open , Class Champion. - 50p. 28.08.2018 Wyat Grand Open , 4. - 20p. 28.08.2018 Wyat August Pony Show, 13. - 10p. 28.08.2018 Wyat Driving Show, 13. - 10p. 30.08.2018 Wyat Mini Pony Bundle I, 18. - 10p. 31.08.2018 Wyat Mini Pony Bundle II, 13. - 10p. 01.09.2018 Wyat Mini Pony Bundle III, 16. - 10p. 30.08.2018 Wyat M&M Driving Show, Class Champion. - 50p. 30.08.2018 Wyat M&M Driving Show, 4. - 20p. 31.08.2018 Ionic Mobile In Bridal Bouquet, 6. - 20p. 31.08.2018 Wyat M&M Bundle, 9. - 20p. 01.09.2018 Wyat M&M Bundle , 6. - 20p. 02.09.2018 Wyat M&M Bundle , 10. - 20p. 01.09.2018 Crafnant Bundle Show, 4. - 20p. 02.09.2018 Crafnant Bundle Show, 15. - 10p. 03.09.2018 Crafnant Bundle Show, 20. - 10p. 01.09.2018 Crafnant Pony Show, 15. - 10p. 01.09.2018 Crafnant Pony Show, 5. - 20p. 01.09.2018 Dawnvale Pony Show, 10. - 20p. 02.09.2018 Dawnvale Pony Show, 7. - 20p. 03.09.2018 Dawnvale Pony Show, 11. - 10p. 04.09.2018 Falkenhof Pony Show, 14. - 10p. 02.09.2018 Ionic Cinderella Stories, 4. - 20p. 03.09.2018 Wyat M&M Bundle I, Class Champion. - 50p. 03.09.2018 Wyat M&M Bundle I, 7. - 20p. 05.09.2018 Wyat M&M Bundle III, 5. - 20p. 03.09.2018 Wyat Welcome September Show, Class Champion. - 50p. 03.09.2018 Wyat Welcome September Show, 13. - 20p. 03.09.2018 Humlegård Pony Show, 13. - 10p. 04.09.2018 Wyat September Mini Bundle I, 7. - 20p. 05.09.2018 Wyat September Mini Bundle II, 12. - 10p. 06.09.2018 Wyat September Mini Bundle III, 9. - 20p. 04.09.2018 Wyat Autumn Driving Show, 13. - 10p. 02.09.2018 Everybody's Welcome Show Bundle II, Class Reserve Champion. - 40p. 07.09.2018 Crafnant Bundle Show, 10. - 20p. 08.09.2018 Crafnant Bundle Show, 9. - 20p. 09.09.2018 Crafnant Bundle Show, 15. - 10p. 09.09.2018 Ionic Gone With The Wind, 9. - 20p. 13.09.2018 Crafnant Bundle Show, 19. - 10p. 13.09.2018 Mooncloud Mare Show, 9. - 20p. 03.09.2018 Driscol M&M Show, 11. - 10p. 14.09.2018 Humlegård M&M Bundle I, 20. - 10p. 14.09.2018 Mooncloud Bundle Show, 3. - 30p. 16.09.2018 Mooncloud Bundle Show, Class Champion. - 50p. 16.09.2018 Mooncloud Bundle Show, 11. - 20p. 16.09.2018 Dirty Driving Show, 17. - 10p. 16.09.2018 Crafnant Bundle Show, 3. - 30p. 18.09.2018 Crafnant Bundle Show, 3. - 30p. 19.09.2018 Ionic Driving Bundle I, Class Reserve Champion. - 40p. 20.09.2018 Ionic Driving Bundle II, 9. - 20p. 21.09.2018 Ionic Driving Bundle III, Class Reserve Champion. - 40p. 23.09.2018 Ionic Passion and Drive, 3. - 30p. 28.09.2018 Ionic It's Simple III, 6. - 20p. 27.09.2018 Ionic It's Simple II, 14. - 10p. 26.09.2018 Ionic It's Simple I, 8. - 20p. 25.09.2018 Quintet Iris Show I, Class Reserve Champion. - 40p. 27.09.2018 Quintet Iris Show III, 4. - 20p. 27.09.2018 Amazing Autumn Days Show I, 5. - 20p. 28.09.2018 Amazing Autumn Days Show II, 4. - 20p. 29.09.2018 Amazing Autumn Days Show III, 3. - 30p. 28.09.2018 Ionic Erase/Rewind I, 10. - 20p. 02.10.2018 Find The Perfect Pumpkin III, Class Reserve Champion. - 40p. 01.10.2018 Find The Perfect Pumpkin II, 13. - 10p. 30.09.2018 Find The Perfect Pumpkin I, 11. - 10p. 29.09.2018 Gwydrawyr Happy Harvest Show I, 4. - 20p. 01.10.2018 Ionic October Party, 19. - 10p. 01.10.2018 Crisp Fall Nights I, 12. - 10p. 02.10.2018 Crisp Fall Nights II, 20. - 10p. 03.10.2018 Crisp Fall Nights III, 10. - 20p. 02.10.2018 Gwydrawyr Golden Leaves Show I, 15. - 10p. 03.10.2018 Gwydrawyr Golden Leaves Show II, 18. - 10p. 02.10.2018 October M&M Show I, 10. - 20p. 04.10.2018 October M&M Show III, Class Champion. - 50p. 04.10.2018 October M&M Show III, Show Supreme Champion. - 100p. 03.10.2018 Pick A Peck Of Pumpkins Show I, 8. - 20p. 04.10.2018 Pick A Peck Of Pumpkins Show II, 7. - 20p. 05.10.2018 Pick A Peck Of Pumpkins Show III, 6. - 20p. 03.10.2018 Ionic Girls' Night Out, 13. - 10p. 04.10.2018 Autumn Driving Show I, 11. - 10p. 04.10.2018 Ionic Vampires Are Alive I, Class Reserve Champion. - 40p. 05.10.2018 Ionic Vampires Are Alive II, 6. - 20p. 06.10.2018 Ionic Vampires Are Alive III, 6. - 20p. 07.10.2018 Cozy Autumn Days Show III, 7. - 20p. 05.10.2018 Cozy Autumn Days Show I, 9. - 20p. 06.10.2018 Quintet Lady's Slipper Show II, 13. - 10p. 07.10.2018 Quintet Lady's Slipper Show III, 5. - 20p. 06.10.2018 Quintet Lavender Show I, 15. - 10p. 07.10.2018 Quintet Lavender Show II, 7. - 20p. 08.10.2018 Quintet Lavender Show III, 15. - 10p. 06.10.2018 Crafnant Bundle Show, 18. - 10p. 07.10.2018 Crafnant Bundle Show, 13. - 10p. 08.10.2018 Crafnant Bundle Show, 20. - 10p. 06.10.2018 Crafnant October Show, 5. - 20p. 06.10.2018 Mooncloud Pony Show, 9. - 20p. 07.10.2018 Mooncloud Bundle Show, 15. - 10p. 08.10.2018 Mooncloud Bundle Show, 5. - 20p. 09.10.2018 Mooncloud Bundle Show, 12. - 10p. 07.10.2018 Rainy Day Pleasure I, Class Champion. - 50p. 07.10.2018 Rainy Day Pleasure I, Show Reserve Champion. - 50p. 08.10.2018 Rainy Day Pleasure II, 5. - 20p. 09.10.2018 Rainy Day Pleasure III, 8. - 20p. 07.10.2018 Miniature Pony Day I, 4. - 20p. 08.10.2018 Miniature Pony Day II, 17. - 10p. 09.10.2018 Miniature Pony Day III, Class Champion. - 50p. 09.10.2018 Miniature Pony Day III, 4. - 20p. 08.10.2018 Ionic Mind Your Temper, 15. - 10p. 10.10.2018 Humlegård M&M Bundle I, 19. - 10p. 08.10.2018 New Kid in Town I, 18. - 10p. 10.10.2018 New Kid in Town III, Class Champion. - 50p. 10.10.2018 New Kid in Town III, 6. - 20p. 10.10.2018 Rain Falls Day I, 3. - 30p. 11.10.2018 Funny Driving Day II, 15. - 10p. 12.10.2018 Funny Driving Day III, Class Champion. - 50p. 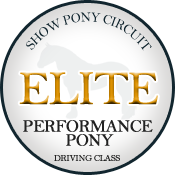 12.10.2018 Funny Driving Day III, Show Supreme Champion. - 100p. 12.10.2018 Ionic Picking Mushrooms I, 5. - 20p. 13.10.2018 Ionic Picking Mushrooms II, 12. - 10p. 13.10.2018 Crafnant Bundle Show, Class Champion. - 50p. 13.10.2018 Crafnant Bundle Show, Show Reserve Champion. - 50p. 14.10.2018 Crafnant Bundle Show, 16. - 10p. 15.10.2018 Crafnant Bundle Show, 15. - 10p. 13.10.2018 Mooncloud Pony Show, 18. - 10p. 14.10.2018 Ionic Winter Is Coming I, 8. - 20p. 15.10.2018 Ionic Winter Is Coming II, 3. - 30p. 13.10.2018 What a Show Off! I, 4. - 20p. 15.10.2018 What a Show Off! III, 9. - 20p. 16.10.2018 Starting To Feel a Lot Like Halloween I, 12. - 10p. 17.10.2018 Starting To Feel a Lot Like Halloween II, 7. - 20p. 18.10.2018 Starting To Feel a Lot Like Halloween III, 19. - 10p. 19.10.2018 Shocking Show I, 4. - 20p. 21.10.2018 Shocking Show III, 3. - 30p. 23.10.2018 Ionic Royal Wedding I, 18. - 10p. 25.10.2018 Ionic Royal Wedding III, 6. - 20p. 25.10.2018 Quintet Lilac Show I, 9. - 20p. 26.10.2018 Quintet Lilac Show II, 3. - 30p. 27.10.2018 Quintet Lilac Show III, 12. - 10p. 27.10.2018 Ionic Royal Navy II, 9. - 20p. 26.10.2018 Ionic Royal Navy I, 18. - 10p. 29.10.2018 Ionic Emerald Tiara I, 18. - 10p. 27.10.2018 Quintet Lily Show II, 11. - 10p. 28.10.2018 Quintet Lily Show III, 5. - 20p. 27.10.2018 Quintet Lotus Show I, 19. - 10p. 28.10.2018 Quintet Lotus Show II, 13. - 10p. 29.10.2018 Quintet Lotus Show III, 8. - 20p. 29.10.2018 Crafnant Bundle Show, 10. - 20p. 31.10.2018 Crafnant Bundle Show, 6. - 20p. 29.10.2018 Crafnant Halloween Show, 11. - 10p. 29.10.2018 Crafnant M&M Show, 12. - 10p. 29.10.2018 Mooncloud M&M Show, Class Champion. - 50p. 29.10.2018 Mooncloud M&M Show, 12. - 20p. 29.10.2018 Mooncloud Pony Show, 16. - 10p. 31.10.2018 All Hallow's Eve, Class Champion. - 50p. 31.10.2018 All Hallow's Eve, 11. - 20p. 31.10.2018 Mooncloud Bundle Show, 6. - 20p. 26.10.2018 Hopeful Day Pony Show I, 5. - 20p. 27.10.2018 Hopeful Day Pony Show II, 15. - 10p. 28.10.2018 Hopeful Day Pony Show III, 5. - 20p. 30.10.2018 Magic Miracle Show II, 19. - 10p. 31.10.2018 Magic Miracle Show III, 15. - 10p. 04.11.2018 Super Spicy Show III, Class Champion. - 50p. 04.11.2018 Super Spicy Show III, Show Reserve Champion. - 50p. 04.11.2018 Ionic Amethyst Tiara III, 10. - 20p. 02.11.2018 November Nights I, 20. - 10p. 03.11.2018 November Nights II, Class Champion. - 50p. 03.11.2018 November Nights II, 4. - 20p. 04.11.2018 November Nights III, 3. - 30p. 09.11.2018 Ionic Poltimore Tiara III, 3. - 30p. 09.11.2018 Husgård Pony Show II, 9. - 20p. 10.11.2018 Husgård Pony Show III, 8. - 20p. 08.11.2018 Ionic Cubitt Tiara I, 18. - 10p. 09.11.2018 Ionic Cubitt Tiara II, 9. - 20p. 13.11.2018 Ionic November Dreams I, 15. - 10p. 15.11.2018 Ionic November Rain II, 16. - 10p. 19.11.2018 Ionic Birthday Girl I, 6. - 20p. 20.11.2018 Ionic Birthday Girl II, 11. - 10p. 24.11.2018 Ionic Hen Night III, 10. - 20p. 23.11.2018 Ionic Hen Night II, 5. - 20p. 22.11.2018 Ionic Hen Night I, 17. - 10p. 26.11.2018 Winter Storm Show I, Class Champion. - 50p. 26.11.2018 Winter Storm Show I, 6. - 20p. 28.11.2018 Early Winter In-Hand Show II, 15. - 10p. 29.11.2018 Early Winter In-Hand Show III, 6. - 20p. 30.11.2018 Winter's Eagerness II, 10. - 20p. 01.12.2018 Winter's Eagerness III, 3. - 30p. 03.12.2018 Winter Is Coming I, 3. - 30p. 04.12.2018 Winter Is Coming II, Class Champion. - 50p. 04.12.2018 Winter Is Coming II, 5. - 20p. 05.12.2018 Winter Is Coming III, Class Champion. - 50p. 05.12.2018 Winter Is Coming III, 6. - 20p. 07.12.2018 The Magic of December Show I, 8. - 20p. 08.12.2018 The Magic of December Show II, 7. - 20p. 08.12.2018 For John Lennon, 10. - 20p. 14.12.2018 Winter Fable I, 6. - 20p. 15.12.2018 Winter Fable II, 5. - 20p. 16.12.2018 Winter Fable III, 8. - 20p. 16.12.2018 Ionic Silent Night I, 15. - 10p. 17.12.2018 Ionic Silent Night II, 18. - 10p. 18.12.2018 Ionic Silent Night III, Class Champion. - 50p. 18.12.2018 Ionic Silent Night III, 3. - 20p. 21.12.2018 Winter Jingle Bell I, 14. - 10p. 23.12.2018 Winter Jingle Bell III, 16. - 10p. 21.12.2018 Winter's Scent I, 17. - 10p. 22.12.2018 Ionic Walking In The Air I, 15. - 10p. 23.12.2018 Ionic Walking In The Air II, 18. - 10p. 24.12.2018 Ionic Walking In The Air III, 5. - 20p. 05.01.2019 Ionic Back To Work I, 8. - 20p. 06.01.2019 Ionic Back To Work II, Class Reserve Champion. - 40p. 07.01.2019 Ionic Back To Work III, 13. - 10p. 17.01.2019 Ionic Iron Sky I, 9. - 20p. 19.01.2019 Ionic Iron Sky III, 9. - 20p. 21.01.2019 Ionic 15 Years, Class Champion. - 50p. 21.01.2019 Ionic 15 Years, 4. - 20p. 24.01.2019 Wonderful Winter Pony Show, 11. - 10p. 28.01.2019 Ionic Arctic Wind, 8. - 20p. 31.01.2019 Ionic Aurora Borealis, 6. - 20p. 05.02.2019 Sweet Delight In-Hand Show III, 14. - 10p. 05.02.2019 Ionic February In Hand I, 3. - 30p. 06.02.2019 Ionic February In Hand II, 3. - 30p. 07.02.2019 Ionic February In Hand III, 6. - 20p. 07.02.2019 Be Cool Show II, 7. - 20p. 11.02.2019 Ionic February Sun, 11. - 10p. 14.02.2019 Golden Friendship Show, Class Champion. - 50p. 14.02.2019 Golden Friendship Show, Show Supreme Champion. - 100p. 16.02.2019 Winter Snowflake Show I, 7. - 20p. 17.02.2019 Winter Snowflake Show II, 7. - 20p. 18.02.2019 Winter Snowflake Show III, 13. - 10p. 20.02.2019 Ionic Ice White Mares, Class Champion. - 50p. 20.02.2019 Ionic Ice White Mares, 9. - 20p. 24.02.2019 Ionic Vampires Are Alive, 3. - 30p. 23.02.2019 Midwinter In-Hand Show I, 6. - 20p. 01.03.2019 Ionic Daddy I Love You, 3. - 30p. 04.03.2019 Ionic Waltzing Matilda, 5. - 20p. 09.03.2019 Ionic Long Daylight, 6. - 20p. 21.03.2019 Ionic Remote Town Show, 11. - 10p. 18.03.2019 Ionic Goes Business Trip, 5. - 20p. 24.03.2019 Glenwood M&M Spring Show I, 3. - 30p. 02.04.2019 Ionic April Fools III, Class Champion. - 50p. 02.04.2019 Ionic April Fools III, 4. - 20p. 01.04.2019 Ionic April Fools II, 10. - 20p. 31.03.2019 Ionic April Fools I, Class Champion. - 50p. 31.03.2019 Ionic April Fools I, 6. - 20p. 03.04.2019 Ionic Beauteous Ladies I, Class Champion. - 50p. 04.04.2019 Ionic Beauteous Ladies II, 9. - 20p. 05.04.2019 Ionic Beauteous Ladies III, 19. - 10p. 24.08.2018 Crafnant M&M Show, 10. - 20p.